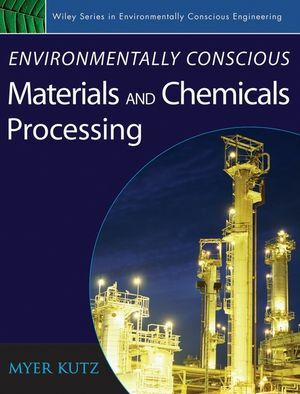 This volume of the Wiley Series in Environmentally Conscious Engineering helps you understand and implement methods for reducing the environmental impact of handling materials in manufacturing, warehousing, and distribution systems, as well as dealing with wastes and hazardous materials. Chapters have been written by experts who, based on hands-on experience, offer detailed coverage of relevant practical and analytic techniques to ensure reliable materials handling. The book presents practical guidelines for mechanical, industrial, plant, and environmental engineers, as well as plant, warehouse, and distribution managers, and officials responsible for transporting and disposing of wastes and dangerous materials. Each chapter provides case studies and examples from diverse industries that demonstrate how to effectively plan for and implement environmentally friendly materials handling systems. Figures illustrate key principles, and tables provide at-a-glance summaries of key data. Finally, references at the end of each chapter enable you to investigate individual topics in greater depth. Turn to all of the books in the Wiley Series in Environmentally Conscious Engineering for the most cutting-edge, environmentally friendly engineering practices and technologies. For more information on the series, please visit wiley.com/go/ece. Third Edition (4-volume set) and the Handbook of Materials Selection, also published by Wiley. Chapter 1: Materials Handling System Design (Sunderesh S. Heragu). 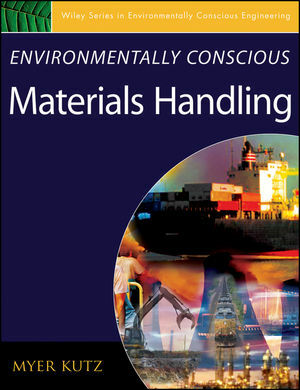 Chapter 2: Ergonomics of Manual Materials Handling (James L. Smith, Jeffrey C. Wolstad, and Patrick Patterson). Chapter 3: Intelligent Control of Material Handling (Kasper Hallenborg). Chapter 4: Accommodating Environmental Concerns in Supply Chain Organization (Maria E. Mayorga and Ravi Subramanian). Chapter 5. Municipal Solid Waste Management and Disposal (Shoou-Yuh Chang). Chapter 6: Hazardous Waste Treatment (Mujde Erten-Unal). Chapter 7: Sanitary Landfill Operations (Berrin Tansel). Chapter 8: Transportation of Radioactive Materials (Audeen Waters Fentiman). Chapter 9: Pipe System Hydraulics (Blake Tullis).